How do you guarantee a great party venue? Do you rely on certain online review sites? Or do you visit a venue before you decide to book? If you don’t have time to do either, then we can help. Our customers are regular party-goers and they typically book the same venues time and time again. Which means that when it comes to choosing the best place to party, we have some great recommendations. You wouldn’t believe it from looking at the exterior but the Coronet can hold a maximum capacity of 2,600 people. It is a huge live night club which is renowned in London for its spectacular art deco features, which are still in pristine condition. 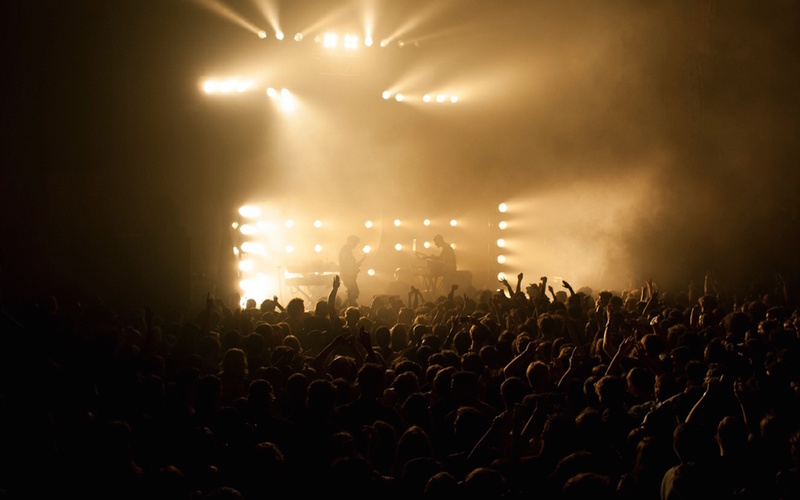 The night club is the place to hear live bands, in fact, some of the biggest live acts have played there, including Justin Timberlake, Blur, Oasis, Primal Scream and many more. But now the club has opened its door to private parties and corporate events, meaning you can occupy the hallowed space for a small fee. 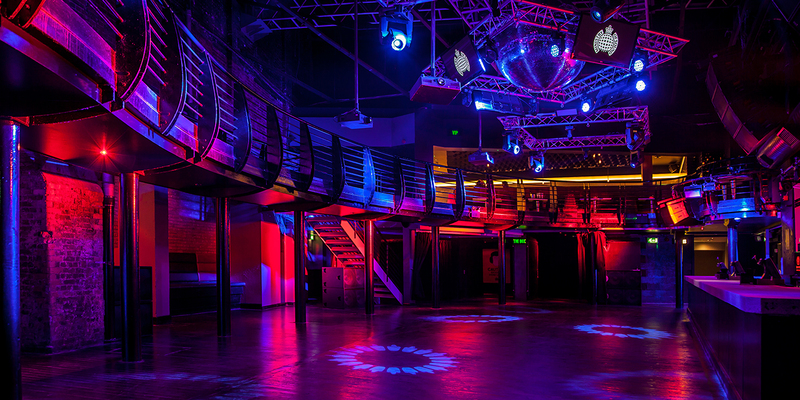 Ministry of Sound has been the heart and soul of London since its opening in 1991. A pioneering corporate events space with endless possibilities. The venue offers six versatile spaces including a heated outdoor courtyard to create, showcase and host year-round events. The versatile venue spans 3,332m2 and boasts endless creative possibilities; offering five indoor spaces and a heated outdoor courtyard with the capacity to accommodate between 100 to 1,600. From inception through to execution, the exclusive in-house events team will explore and deliver your vision catering for your every need. With unrivalled creative capabilities and the world’s best sound system, we’ll create an unforgettable experience that will exceed your expectations on every occasion. Porchester Hall has been featured on many a TV show, including Monty Python’s The Meaning of Life, and Channel 4 filmed Stand Up To Cancer there. 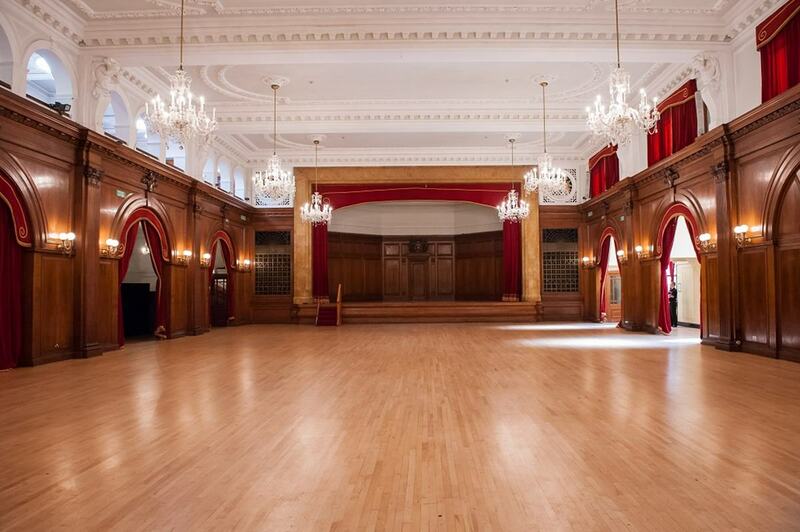 The art deco design and huge indoor space make it ideal for weddings, parties, corporate events and much more. There is so much to offer here, including the main hall which can house up to 450 guests, to a smaller more intimate sister hall that can accommodate 50 people. There is also a Turkish Spa, a swimming pool built in the 1920’s, a licensed bar and you can bring in your own caterers. You might well remember this amazing arena from the 2012 London Olympics as it featured on TV many times. It hosted some of the game’s most memorable events, including handball, modern pentathlon fencing and goalball. 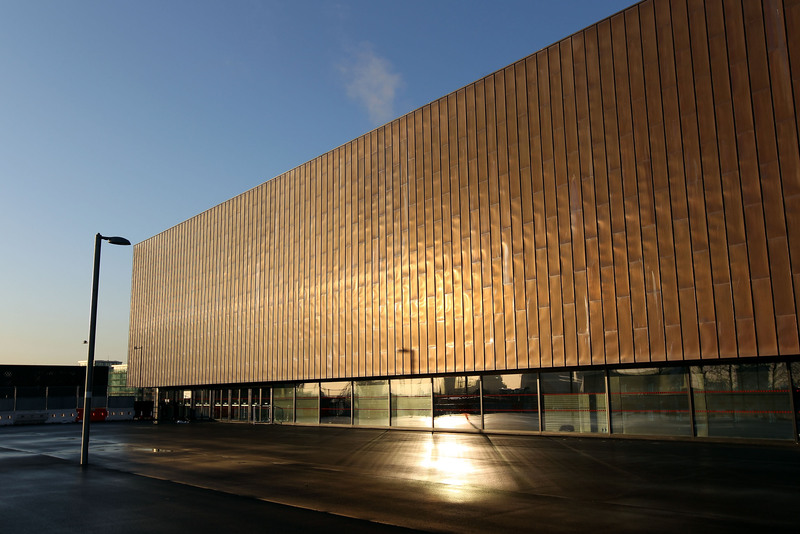 Now it is a multi-sport venue used for the whole community and has some great facilities which include a state-of-the-art sports hall, enough seating for 7,500 spectators, accessible changing rooms and toilets and space for accessible parking. You have to see Shoreditch Town Hall to believe it. 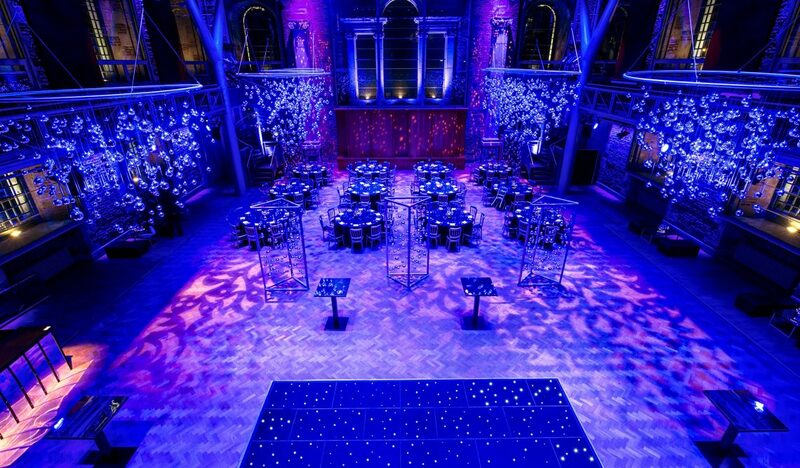 Simply one of London’s most magnificent buildings, it is a Grade II listed building, built in 1865 as a Vestry Hall and now repurposed as an independent arts and events venue since 2004. Now it is open for the public to rent the space inside for weddings, parties, conferences. 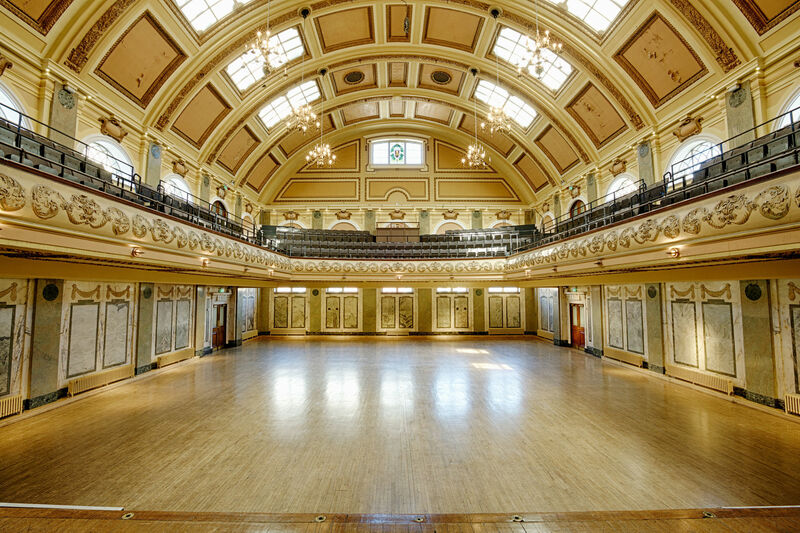 It has several different sized rooms, including the council chambers (large enough for around 100 people) to the grand Assembly Hall with a stage and even an unfinished basement that can also be hired. Customers love the quirky atmosphere and the grand staircase that goes on forever.